How can you develop your strengths if you aren’t even aware of them? 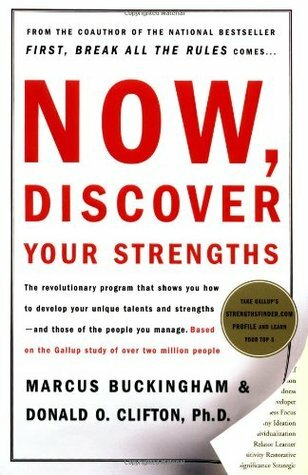 Marcus Buckingham, coauthor of the national bestseller First, Break All the Rules, and Donald O. Clifton, Chair of the Gallup International Research & Education Center, have created a revolutionary program to help readers identify their talents, build them into strengths, and enjoy consistent, near-perfect performance. At the heart of the book is the Internet-based StrengthsFinder® Profile. This book contains a unique identification number that allows you access to the StrengthsFinder Profile on the Internet. This Web-based interview analyzes your instinctive reactions and immediately presents you with your five most powerful signature themes. This book will show you how to leverage them for powerful results at three levels: for your own development, for your success as a manager, and for the success of your organization.